Taiji (fully known as Taijiquan, also known as Tai Chi) is an effective way to achieve balanced health for the body and the mind. Taiji develops calm and center through mindful re-discovery of the body by focusing on breath, posture, and flow of movement. The art of Taiji consists of “Four Pillars” or types of practice – Quigong, Form, Push Hands, and Application. We practice the Four Pillars to develop coordination, increase internal energy, re-focus sensitivity to oneself, and enhance spatial awareness. Taiji is an ideal martial art for all physical ability levels as it combines graceful movement and effortless power that can lead to stress relief, increased muscle tone, coordination, strength, and balance. 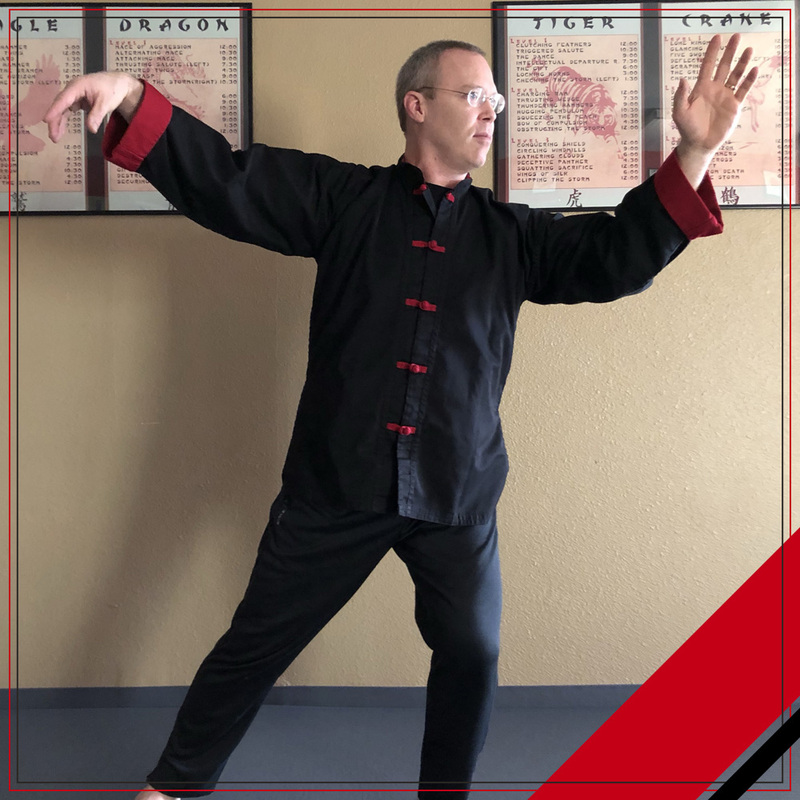 Instruction will focus on learning the Essential 5 postures of Wu Tai Chi but will also involve concepts of balance, spatial awareness, and focused movement. Loose fitting clothing is recommended.